Congratulations! You’ve decided to marry. Your Ceremony of Marriage is your opportunity to share with family and friends your love and commitment to each other in a way that is meaningful to you both. It is important that your ceremony reflects your personalities and your values. My name is Caroline Jackson. As a Commonwealth Registered Marriage Celebrant, and Tamborine Mountain’s preferred full-time Celebrant it is my pleasure, as well as my business to ensure that your wedding ceremony is one of the most memorable days of your life. I have a lifetime’s experience of working in both the UK and Australia (I became a naturalised citizen in 1985) including within the hair and beauty industries. Working with people from all around the world has enriched my career, and this experience I bring to my role as a celebrant. I enjoy sharing that experience and knowledge, to help you plan a beautiful and unique occasion and build memories, which will last a lifetime. I am able to officiate for, Civil Marriage, Renewal of Wedding Vows, Commitment Ceremonies, Name Giving Ceremonies, and Funerals. Whatever the occasion, I will help you to personalise the ceremony and include many memorable and culturally enriching words and acts that have special meaning for you and those you love. I have been a celebrant for ten years and have officiated at hundreds of ceremonies. I am a past president of the Alliance of Celebrants Queensland, Queensland’s largest celebrants association and also a past board member of CoCA (The Coalition of Celebrant Associations). CoCA is a group formally recognised and acknowledged by the Attorney-General and the AGD as the most influential body for marriage celebrant associations. Let’s have a chat about your ceremony. Whether you are having a small and intimate ceremony, or a grand event, your day will be unique and memorable. Your ceremony may be a simple event with only the legal or the more traditional components, or you may like to choose, to include one of the following rituals to enhance your ceremony. In the Rose Ceremony, the Bride and Groom give each other a single red rose bud. This is to symbolise the first gift to each other, as husband and wife, two roses are all that is necessary. The Rose Ceremony is placed at the end of the wedding ceremony after the couple has been pronounced husband and wife. The unity candle symbolises the very essence of the wedding ceremony. Two taper candles, representing the couple as individuals, are used to light a single centre candle as a visible symbol of their commitment to each other. , often of a tartan design. It is meant to signify a couples coming together as “One”. Or perhaps to keep the Groom from running away!) Whatever its original intention, it has become a popular new tradition for today’s couples seeking new and spiritual ways to honour their love. The ceremony is used to symbolise the uniting of the bride and groom. Their separate lives are symbolised by two vials of sand (usually different colours). After the exchange of rings, the celebrant explains the meaning of the sand ceremony. The bride and groom then come together and pour into one vial, the contents of the two individual vials of sand. The flowing together of the sand symbolises the joining of the couple as they share their first experience of unity as husband and wife. The newly formed union is represented by the intertwined pattern of sand created by the couple. This symbol is then a keepsake of the wedding. With a ring warming, in your ceremony, the rings will not only be a gift from the bride and the groom to each other, but they will be seen to be exchanged with the love, support, warmth and wisdom of all present. The rings are passed between all the guests. Each guest, momentarily, holds the rings thereby giving his or her personal blessing upon them before the bride & groom exchange the rings. All meetings at my residence or a place to be agreed. A personally written ceremony and vows of your choice. Provision of bound copy of the wedding ceremony to keep. Completion of all legal paperwork where required (Inc NOIM and Declaration) and lodging paperwork, with BDM to register marriage within 14 days of the date themarriage is solemnised. All time and travelling costs on the day of wedding. Telephone, postage, photocopy, and facsimile costs within Australia only. Provision of PA system and microphone to ensure that the wedding is audible. A rehearsal at the venue or my residence if necessary. Wearing clothes that fit in with the theme of the wedding if requested. Provision of a CD player to play your original CD soundtrack (no CD copies please unless tested on my system first). Provision of signing table, cloth, & chairs. Name Giving Ceremonies are as old as time itself. For centuries and in different forms, people have been performing these ceremonies for the purpose of introducing a new child into the family; in many cultures, a son was not legal until his father named him in a ceremony. Naming ceremonies as we know them today, are fairly new being non-religious and conducted by a civil celebrant, usually at the parent’s home, this allows the parents to affirm their love for their child in front of family and friends. Let me personalise a name giving ceremony for your child. There are many things we can do, such as having a time capsule in which you place small gifts, photos, letters or hand written cards to be opened either on the child’s 18th or 21st birthday. Alternatively, how about planting a tree or lighting a candle? A naming ceremony normally takes between twenty and thirty minutes with poems and readings and while the ceremony has no legal status, I provide all involved with a beautiful certificate by which to remember the day, and what a wonderful way to introduce a new child into the world. I conduct a non religious ceremony which is personalised in a way that you and your loved ones are comfortable with and which truly reflects the individuality of the deceased. I will work closely with you and your family members and you and they may even like to take part in the ceremony. Saying good bye to someone you love is never easy so a personal funeral ceremony for a close friend or family member can be a lovely way to say good bye. If you would like me to perform a ceremony for you, you can contact me direct, or have your funeral director contact me with your plans, including the date and time of the funeral and where it will take place. A funeral ceremony should be a happy event, as it is a celebration of life, and how that life impacted on the lives of others. Should a funeral ceremony be sad? I don’t think so, it should be a celebration of the life that has been, however old or young or how someone’s life has ended. After the loss of a loved one you will go though many stages of grief, I believe in listening to people and have been trained to assist those, who are going through such emotional time in their lives. No matter how long you have been married, this is a wonderful way to show and reaffirm the love you have for each other. Perhaps you never had that dream wedding in the first place and now consider it the right time to celebrate in the way you always wanted to. I would love to work with you to create a cherished moment in your life. Let’s talk and see why I am a good fit for your ceremony. 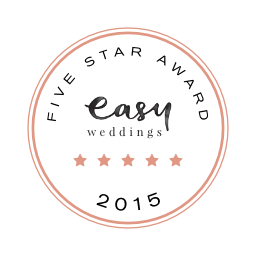 Planning the perfect ceremony is as simple as choosing the right celebrant. The first step is to meet so that we can discuss your requirements. I can fit in around your schedule to meet and have a chat – oh and by the way, I do not charge for the initial consultation! You can choose to meet wherever you feel most comfortable, whether it be in your home, my home, or your favourite coffee shop. For your first appointment please bring the following items, this will enable us to start the legal processing of your pending marriage; The Notice Of Intedned Marriage NOIM needs to be completed one month prior to your wedding and up to 18 months in advance of the wedding. Your original Birth Certificate. (Obtainable from Births Deaths and Marriages in the state where you were born) or Passport. If either of you have been widowed, I will need a copy of the Death Certificate of your deceased spouse. Any documents provided in a foreign language must be translated into English and a Translation Certificate supplied. All documents must be originals not photocopies or certified copies. Brodie and I want to thank you for such a great job. You made our wedding day, unforgettable. We really appreciate the time you spent with us on several occasions before the BIG day. We have had many comments that our ceremony was the best they had ever been to. Definitely not a day Brodie and I will ever forget. We are so grateful we found you. Once again, Brodie and I would like to thank you for being the best marriage celebrant that anyone could ever ask for. We would definitely recommend you to anyone looking to put together a truly memorable occasion. Thank you for all your help in arranging our wedding ceremony and for making the day so enjoyable. Paul and I had a wonderful day with the ceremony and day exactly as we wanted it. Small, intermate, full of love and fun. We had a lovely lunch at the Polish Place with lots of laughs. Thanks you for your professionalism and for making the day so easy. All the information you supplied to us for pre and post wedding was great and very helpful. As soon as I get the photos of you with us on the day, I will send them to you. Thank you once again for a fabulous day and may I say you looked lovely on the day. Greig and I just wanted to say a huge thank you to you for doing such a great job with our wedding ceremony at Lakelands on 30 Oct. We had so many people say what a wonderful job you did and how beautifully you spoke. Many thanks. We cannot thank you enough for all the help leading up to the wedding and the beautiful ceremony you did for us. 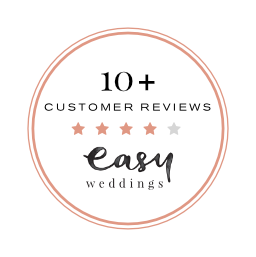 You were so friendly and easy-going; you made the whole lead up to the wedding much less stressful because we knew we could ask you if we weren’t sure about anything. We will not hesitate to recommend you, we are so glad we chose you. We would like to thank you so much for being such a wonderful celebrant for our wedding and for all of your assistance leading up to the day. Your warm and genuine presence made a very special ceremony; it felt relaxed and intimate but also truly meaningful and memorable. You made both of us feel at ease with your calm manor, and kept things running smoothly even with the unpredictable performance of our two littlies, which was fabulous. We would like to thank you again for marrying us on May 28th at Mt Tamborine. It was the most beautiful ceremony and day, and we were so pleased that you were such a big and important part of it. We will we thrilled with you from the moment we met you. Thank you again for everything you did leading up to our special day, the packages you prepared for the day & to help with the name change etc following, and for your professionalism and friendship.